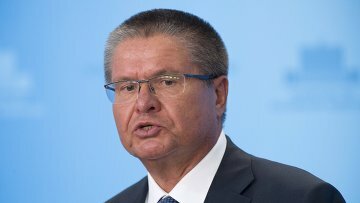 Trial of Russian ex-Economy Minister Ulyukayev to begin on August 8 | Russian Legal Information Agency (RAPSI). MOSCOW, August 2 (RAPSI) – The trial of former Russia's Economy Minister Alexey Ulyukayev, who stands charged with extorting a $2 million bribe, will begin on August 8, spokesperson for the Zamoskvoretsky District Court of Moscow, Emilia Khil, told RAPSI on Wednesday. Ulyukayev was arrested while receiving a bribe in mid-November 2016. He allegedly demanded Russian state-controlled oil giant Rosneft’s representative to pay him $2 million for lawfully providing a positive review and evaluation of a deal that allowed Rosneft to acquire government’s share in mid-sized producer Bashneft. According to the Investigative Committee, the former minister threatened to create obtrusions for Rosneft with use of his position. Ulyukayev has pleaded not guilty. On November 15, the ex-minister was put under house arrest. Later in the evening, President Vladimir Putin has relieved Ulyukayev of his post because of loss of trust.